Clement Attlee was Prime Minister of Great Britain from 1945 to 1951. Although born in Putney, Attlee had a lot of connections with the East End, particularly in Limehouse and Stepney. He lived in the area from the early part of the century until 1922. He began his political career in these areas, and the time he spent amongst Eastenders helped shaped his political beliefs and convictions, leading to major social reforms during his time as Prime Minister. Attlee originally trained as a lawyer in London. In 1906, he took a job as manager at a charitable club in Stepney, Haileybury House. This charity was run by his old public school and worked to help working class boys in the East End; Attlee had been a volunteer there for some years before he accepted a formal job. Although Attlee found it rewarding to work with the charity, he was shocked by the social conditions in the area. The children he worked with generally came from poverty stricken families, lived in slum housing and had few prospects. Over time, he became convinced that individual charities, such as the one he worked for, could not do enough to help eradicate poverty in the East End. His experiences at Haileybury House were valuable, and he knew that they were doing important work, however he also realised that they were only able to help a few boys at a time when there were far greater social issues across the East End. He decided that only government intervention could do what was needed to make a difference, and he started to formulate ideas on how state income distribution could help the working class. Attlee decided to switch from being a conservative to supporting the Labour Party, as he believed that socialists would actually do something useful to help areas like the East End. He decided to formally join the Independent Labour Party in 1908 and started to get involved in local politics in the East End. After serving in the First World War, Attlee returned to the Stepney area and continued working in local politics. He became Mayor of Stepney in 1919 and started a range of programs to help improve local housing and social conditions. His council targeted local property owners who charged high rents to live in properties in fairly bad conditions. Property owners in the area tended to make a lot of money out of slum housing, but typically refused to ever use any money to improve their properties. Local people often had no choice but to live in unsanitary, and sometimes unsafe, conditions, and his council started to use legal action to force property owners to make improvements. During his time as Mayor, the local infant mortality rate also reduced significantly and the area saw its first sanitary inspectors and health visitors. Attlee’s political ambitions were greater than local politics and he stood as MP for Limehouse in 1922. He remained in this position throughout much of his political career until 1950 when the constituency boundaries changed and he became MP for Walthamstow. By 1935, he was elected leader of the Labour Party and was Deputy Prime Minister in Winston Churchill’s war-time government. In 1945, he led the Labour Party to a landslide victory and became Prime Minister. Attlee’s early days in the East End had given him many ideas on social reform and how to improve conditions for the working classes. During his time as Prime Minister, the country saw some of its greatest social changes – he effectively created the welfare state as we know it. In 1946 Attlee’s government created the National Health Service (NHS). Before the NHS was created people had to pay for medical treatment. 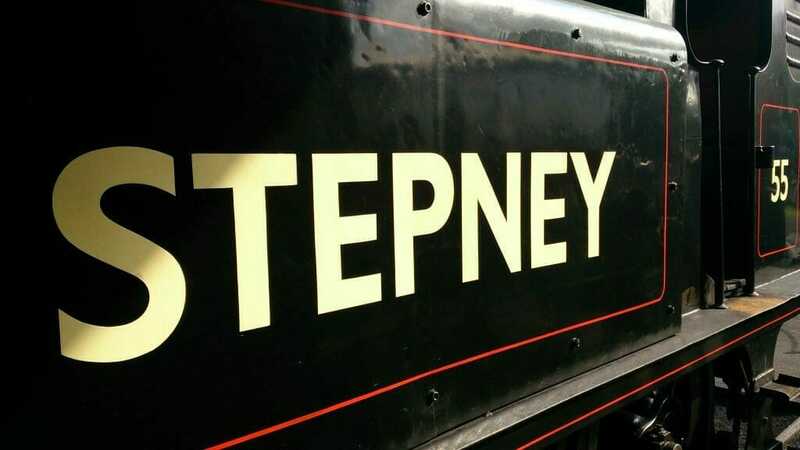 This was often not an option for people living in poverty, and was one of the issues that had concerned Attlee when he first started working in Stepney. His NHS gave free healthcare for all, irrespective of income. Attlee also reformed the country’s retirement and benefits system in 1946 by creating the National Insurance Act. This basically started our current social security system. People started to pay contributions out of their wages in order to get state benefits when they became unemployed or when they retired. In 1988, Attlee’s connections to the East End were commemorated with a bronze statue outside Limehouse’s library. This was unveiled by the former Prime Minister, Harold Wilson, who had been a member of Attlee’s cabinet. The statue remained in Limehouse until 2011 but, as the library had closed in 2003, it was decided to move it to a new location. You can now see it on the Queen Mary University of London site in the East End’s Mile End.